I was reading this review of the Keys to the Future Festival which is taking place this week at Le Poisson Rouge and wishing I were there. Now in its 5th year, 10 pianists are playing 29 works by contemporary classical composers. Here Lisa Moore performs Frederic Rzewski’s Piano Piece No. 4 (1979) at Keys to the Future Festival 2/28/08. On the topic of house concerts, I’ve been reading about Jane Siberry and her European tour in The Globe and Mail. The 54-year old Canadian singer is performing in private homes and other small venues – this weekend in Stockholm, then on to Finland, Norway and the Netherlands before finishing up next month in London. She travels light, takes buses and trains. Her only requirement is a meal and a night’s lodging at her hosts’ homes. 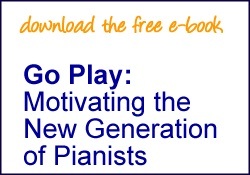 Pianists take note. If you want to perform, you can. It’s all about branding, making connections, administrating…and of course, practicing. When you’re doing everything, the publicity, greeting the guests, taking the ticket money, arranging for seating, setting up the coffee, etc etc, don’t try to perform by memory. 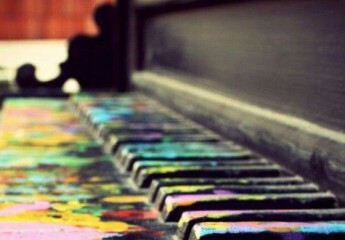 For me playing by memory requires me to go into what Jade Simmons would call a “performance cocoon.” With all that had to be done before the performance, right up to the time I sat down at the piano, I didn’t have the focus to perform from memory. Lucky for me I only felt a tiny bit guilty because I had just read this article by Susan Tomes. The audience likes trivia. 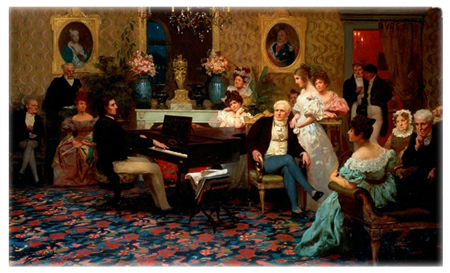 In between each piece I spoke, briefly describing the French Salons of the early 1800s, Chopin’s 200th birthday, and the launch of the A major Prelude, purposely trying not to be lecturing. It worked. They also like the intimacy of the Salon. Up close and personal. And right in their own backyard, for most of them. Good food is important. Three large plates of cream puffs, eclairs and lemon tarts, gone by the end of the evening. Coffee was available before, during and after the performance. Lots of visiting and chatting up new friends. Found this clip of Daniel Barenboim with Lang Lang at ClassicalMusic.org.uk this morning from the Great Performances Series, Barenboim on Beethoven. Anton Dvorak died on this day in 1904. Enjoy the Beaux Arts Trio playing the opening of the “Dumky” Trio.